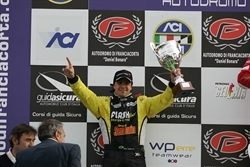 16/05/2011 - All three drivers of Lucidi Motors finished into points both races in Franciacorta, theatre of the first round of the Italian Formula 3 Championship. In qualifying held Saturday, Kevin Giovesi set the fourth fastest time (1'05.031) and was followed by Edward Cheever (1'05.049, second of the rookies); while Victor Guerin (1'05.135) secured the eighth best performance, which was also the fourth of the rookies. In race one the points objective was fully achieved as Giovesi ended fifth and Cheever sixth but on the third step of the rookies podium. Guerin's performance was solid too as he finished ninth in the absolute standings and second of the rookies. The competitiveness of Lucidi Motors' drivers was confirmed also in race two when Guerin finished second while Giovesi was fourth and Cheever fifth (fourth of the rookies). "I am extremely satisfied with the performance of all the three drivers that are showing a good maturity. Cheever and Guerin were at their debut in Formula 3 but despite of this they did not make any mistakes obtaining a promising place on the podium. Giovesi's weekend was very positive too as he has been constantly competitive after the good work done during winter tests". In the absolute classification Kevin Giovesi is currently fourth at 15 points, just 8 short the leader; in the rookies' standings Edward Cheever and Victor Guerin share the third place with 19 points each. 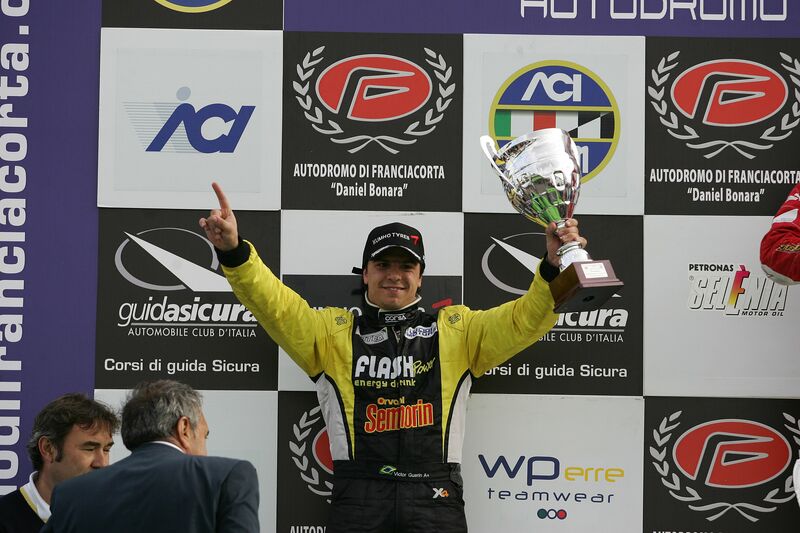 The Italian Formula 3 Championship will be back on track next 5 June in Misano.